BASIL POTS AVAILABLE NOW! 50Php Each. Please send your order on or before 5pm Wednesday April 23, 2014. You can text or call your orders to our contact numbers +639179373530/ (02)7364041 / (02) 9288316 or email us @ sibolpeoplesstore@gmail.com. Thank you! You can now order your vegetables for our market schedule on THURSDAY. Please call +639179373530/ (02)7364041 / (02) 9288316. Thank you! 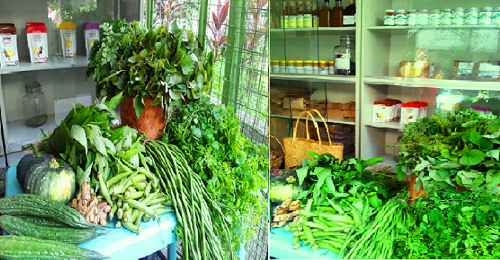 Sibol People's Store has the freshest VEGETABLES in town! SiBOL Peoples’ Store is a development project of the Sibol ng Agham at Teknolohiya, Inc. (SIBAT) aimed at promoting and supporting organic food products of rural farming communities. The store mainly serves as a display center for organic food products, herbals and handicrafts. The organically produced vegetables, rice, herbal products and processed organic crops guarantee food safety, nutrition and ecological protection. All proceeds generated by the Store are being used for the sustainable and ecological development of rural communities. We offer you and your family healthy and organic products. We ensure that it is 100% organic and fresh. February 27, 2014 - MARKET DAY! Visit the MANGARITA FARM SOON!